The Support for Learning base was filled on Thursday with enthusiastic BSL learners, both staff and pupils. We were introduced to our tutors Ian Galloway and Rachael Griffiths from Lanarkshire Deaf Club, and interpreter Helen Pennan, who will work with us over the next ten weeks. Our first task was to learn the finger spelling alphabet, then introduce ourselves and finger spell our names. Individuals were put on the spot when we had to perform our tasks in front of the whole class- quite nerve-wracking! We were then given a homework pack- the first of many, we were informed- to learn for next session. Everyone contributed enthusiastically and we can’t wait for our next BSL session. Many thanks to our new teachers! Professional storyteller, Allison Galbraith, returned to OLHS to help the Titanic Group record their stories. Each pupil chose a different aspect of the Titanic to focus on, from the ‘women and children first’ policy, to the lifeboats, to the role of the wireless operator. Allison had previously visited to introduce herself and build pupils’ confidence in speaking before a stranger at the beginning of the project. Each person was invited to share a little about their name and family background until everyone was at their ease. As a result, although pupils were nervous about recording, they were keen to know when Allison would be returning. Allison started the group off with some breathing exercises and vocal warm-ups, including tongue twisters and jaw massage, before we settled on the comfy seats to record the pupils’ work. Allison provided additional advice on reading speed, pausing and presentation as we worked through the stories. Despite the dangers of breaking into the giggles, every pupil recorded their own work beautifully. Our Titanic Project pupils spent a week investigating facts about the ship and ship-building. They worked with storyteller, Allison Galbraith, to learn what makes a decent story, and visited the Titan Crane at Clydebank and the Denny Tank at Dumbarton, part of the Scottish Maritime Museum. The Science Department demonstrated buoyancy and helped pupils investigate floating (see below) and then pupils built a copy of the Titanic with Social Subjects. The Science Department asked pupils to design a ship so that it wouldn’t sink. The Groups did very well. There were some excellent designs and some nervous and excited participants during the second phase of the challenge when designers add mass to the boats to see when they sink. Forfeit for the others is that they have to refer to the winners as Captain for the rest of the day. Our wonderful Christmas Fair took place on Saturday 29th November. Pupils in the Personal Development and Enterprise classes were responsible for turning our Zone from a dining room onto a magical festive fair, complete with Santa, bouncy castle and a whole range of fabulous gifts, prizes and good things to eat. Our Lady’s is particularly grateful for donations from families and school supporters. The event itself ran like clockwork the following day and was busy throughout with staff and pupils grabbing the best bargains in the Zone before settling down for a chat with a cuppa. Stalls were run by staff, pupils, parents and local businesses and included lucky dip, face painting, nail painting, make-up, raffle, tombola, toy tombola, bouncy castle, Santa’s Grotto, Ready Steady Bake, Christmas Cakes, Gingerbread Houses, Christmas Decorations, sweet stalls, Slush Company, hair accessories, school scarves, and home made cards. Many thanks to everyone involved including the staff who organised and ran stalls on the day, all of the pupils who set up the Zone, manouvred furniture and sold like hardened sales staff, all of the parents, carers, pupils and friends of Our Lady’s who came along on the day and helped us raise a clear profit of £1020.84. Nineteen pupils completed their Bronze Duke of Edinburgh practice walk in the Pentland Hills in Edinburgh on Wednesday 1st and Thursday 2nd October. They camped in the scout camp at Bonally with many other groups of young people. The weather was terrific during the day but the temperature dropped considerably during the night. 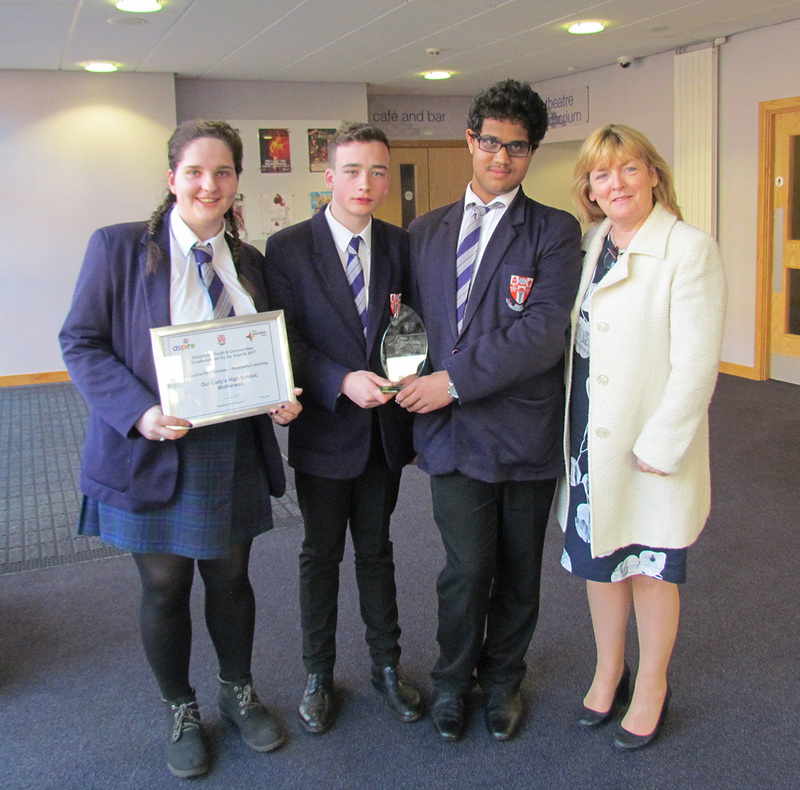 The pupils will be going to the Campsie Hills this week for their assessed walk and will spend the next 6 months working on the other three sections of the award. Read the thoughts of the weary-footed warriors of the hills on their practice walk by clicking on Replies below. 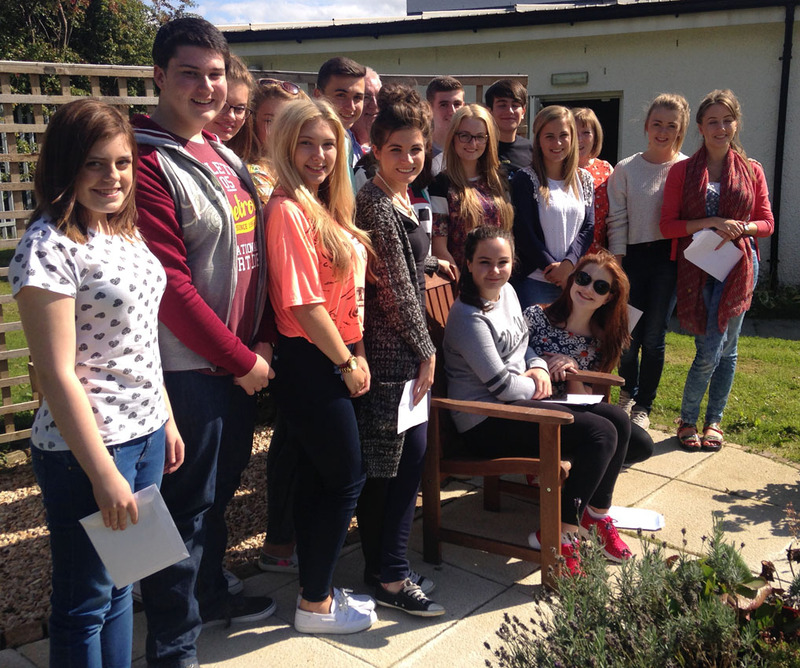 Fifteen pupils and two staff took part in the Servant Leadership Programme run by the Conforti Institute in Coatbridge. Over two days, including an overnight stay, the group worked with Michael Canning to learn more about team building, being organised and the skills and qualities required not only to be a leader, but more importantly, to be a leader that provides a service to others. All those who attended agreed that it was an outstanding event, with emotional highs and howls of laughter interspersed with silent contemplation and candlelit prayers. Last Monday and Tuesday, 25/26th of August, 15 of us new 6th year joined an overnight retreat to the Conforti Institute in Coatbridge for a Servant Leadership Course which was to try make us the best leaders we can be in our new roles as House Captains and Prefects. Monday was started off with a few icebreakers which got everyone loosened up for the day’s activities and also made people feel a bit more comfortable. Our day after this was filled with team building activities, personal reflections and also filled with drinking a lot of tea and eating a lot of good food. After our day we had Night Prayer which was a very different experience for everyone. We were all grouped up in fours and in these fours, in a mini huddle, Fr Paddy came around and blessed us all which was quite an overwhelming experience for us all as well as being different. The best part of it however was the fact we got to do it in our jammies! The Tuesday began with another good meal and little did we know, it was going to be an incredibly emotional day. Michael showed us some videos about people helping one another which got a few people started but then when he asked us to write a letter to someone who means a lot to us and who also inspire us and tell them why we chose them, everyone had to really dig deep into their feelings which shed a tear or 50 especially for the girls. It was truly emotional but we all felt very uplifted after it as we began to realise how lucky we are to have these people in our lives. After our emotional day and our short journey of Servant Leadership, we had our final mass which brought us all together for the last time. Before the mass, Fr Tom asked us in our school groups to come up with some ideas which we could take back to our schools and give some of the things we learned at this retreat back to the schools. These lists got read out at mass and this was to conclude our visit. We all had a fantastic time and when asked what we do to improve it, we all said maybe add another day! None of us expected to enjoy it as much as we did but all of us said that we were so glad to be a part of it. Pupils in the Enterprise class have been selling Easter Egg mugs around the school. Buyers were offered a variety of mug styles, along with a choice of eggs. The Personal Development class have also been hard at work designing and making Easter baskets and gift bags.